Seatronics, an Acteon company, has successfully completed a project with marine services organisation Meridian Ocean Services (Meridian) in Mexico. The aim of the project was to inspect and chart existing pipelines along the coast of Ciudad Del Carmen, and required a full survey equipment spread utilising a Forum Comanche ROV. 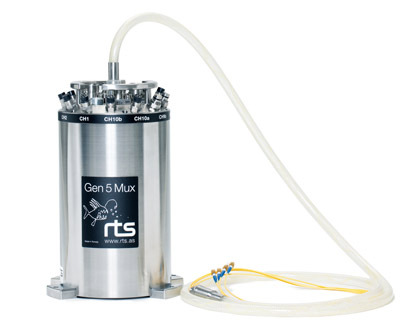 As a light work class ROV would be inappropriate for the type of planned inspection (due to the payload capacity of 250 kg) Seatronics proposed the implementation of the RTS Gen 5 Multiplexer as a suitable solution for the identified issue, as well as the use of a technician to help with the integration of the electronics to the ROV. The technology provided by Seatronics enabled Meridian to run the equipment while utilising the Comanche’s native 300 voltage direct current (VDC) power supply. Additional buoyancy was also added by Meridian. This enabled a smaller ROV to be used to complete a project that would normally require a much larger vehicle.